Written and instructed by Dr. Yolanda Gail Duriso, Th.D. Dr. Duriso has been blessed to study the book of Relation since 1987. Pastor Ben Andrews came to Pastor the church that she attended as a little girl. 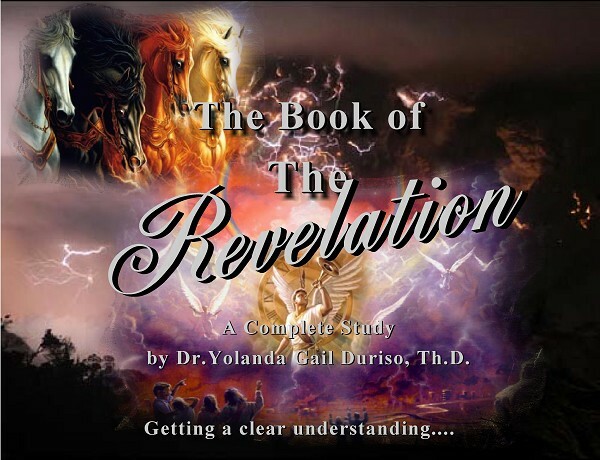 He made it a requirement for all the members to study The Book of Revelation yearly. Sister Gail (as she is affectionately called), is an Ordained teacher. Her studies have included many Bible Enrichment Courses, beginning in 1987-( Basic Bible Orientation, Ancient Bible History, The Angles Dispensation study, Bible Chronology, Revelation 1 & 2 Bible study, Advance Bible Study Classes, Bible Study every Wed., and Teachers Meeting Bible Class every Friday. Holy Bible Faith Center, has a teaching ministry based on Isaiah 33:6. All of the Ministers and teachers at the church are ordained and have attended the required Ministry Course listed above. All NEW members & friends desiring to further their education in the Bible, take the courses. All new members are required to take an orientation bible study to help them in their ministry and /or Christian walk. Dr. Duriso has her Doctorate Degree in Theology. Dr. Duriso has a Bachelor of Science and an Associate Degree in Speech Communication/Public Address- Biology is her Minor. She teaches Sunday School each Sunday, orientation for new members and teaches Bible study each Tuesday. She became so excited about the book of Revelation, she decided to take the extra classes to earn the privilege to teach the Revelation class each month for the members and friends who want to attend the class. To take advantage of this awesome experience, order your course today!